Do you know anything about reclaimed wood furniture? In fact, do you even know what reclaimed wood is? 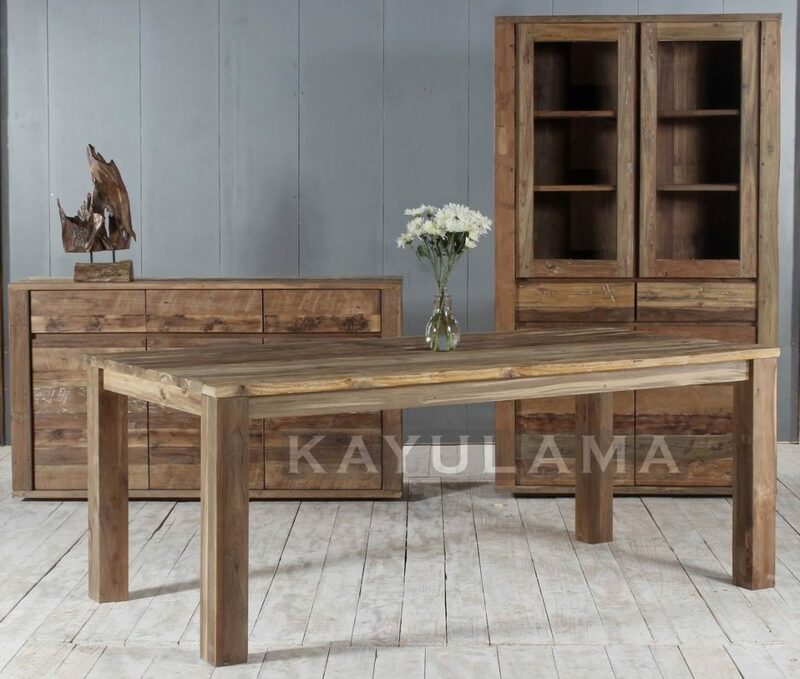 When we look at the etymology, reclaimed wood furniture is made of three words: reclaimed, wood, and furniture. Reclaim means something that is claimed once more (from what? We will soon find out in this article), wood is wood, and furniture is things that we can put in our house as decorations or technical things. So, all three combined would make things we put in our house that is made from wood that is reclaimed from something. Does this etymology piqued your interest? If so, then perhaps you should continue reading this article, as this article will certainly help you if you are interested in brand new furniture that is different from others. So, what is a reclaimed wood? As I have said from before, this article will certainly talk about reclaimed wood at first. Further inquiries from the web has got me thinking, and I am pretty much interested in reclaimed wood. When I first saw the definition of reclaimed wood, I was caught by a bit surprise. Reclaimed wood, as normal people (as in people who are not carpenters and lumberjacks) said it, is a piece of wood that is ‘unwanted’ and a wood that is left unused. Wood industries are not only there for creating wooden furniture (as paper industries used wood as well). The ‘leftover’ wood from this particular industry is what we normal people call as reclaimed wood. But reclaimed wood would not make a good furniture, right? If you think that way, then you are wrong, my buddy. Reclaimed wood furniture has become a sort of ‘niche’ and has developed a cult following. The pattern embroidered within furniture made of reclaimed wood is otherworldly, and that fact is one of the cause why some people prefer furniture made of reclaimed wood. Reclaimed wood is also one of the easiest furniture for those who prefer simplistic furniture design. Because the wood itself is a bit fragile (obviously, because it is reclaimed), you cannot make complicated carvings on it (unless you want the wood to break). This way, furniture of reclaimed wood is simple and easy to look. It is an art behind simplicity. For those whose thumbs are green and whose mind are entitled to the world of greeneries would be glad to hear that using reclaimed wood is one way to save the trees and the greens. Why? To make it simple, furniture made of reclaimed wood will only use woods that are no longer in use anymore. Say your fisher friend’s fishing boat is broken; strip the wood and craft yourself a wooden chair or wooden table. This way, you use less trees. If you think that the leaves on a branch are much of a worth than the gold in a chest, then reclaimed wood is a welcome thing. So, that is perhaps some things you need to know about reclaimed wood. I hope I can be of a help in your search for reclaimed wood furniture.